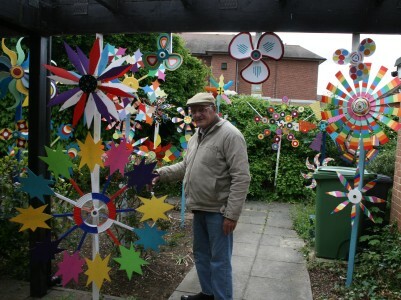 A couple of years ago I went to talk to the Abingdon artisan who recyles all sorts of cast offs to make windmills. 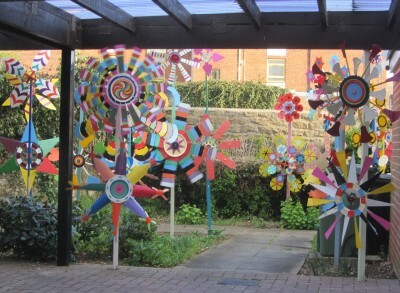 It gives him and passers-by at Withington Court great pleasure. This evening it was good to see as many windmills as ever. Here is a short video to show how wind can be harnessed for fun. 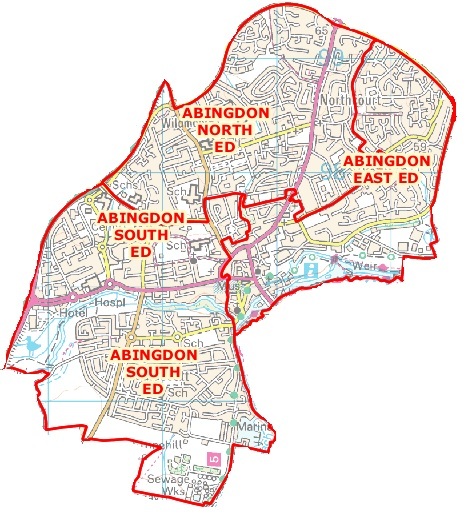 Abingdon East has a fascinating contest for their next County Councillor this coming Election Thursday. But will you vote? 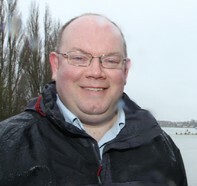 Count Nikolai Tolstoy is one of the candidates – representing UKIP (the UK Independence Party). 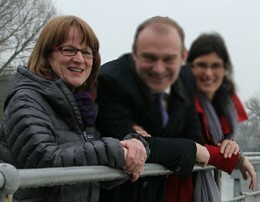 UKIP are fielding candidate for the first time in every Abingdon ward. He currently lives in Southmoor a few miles outside Abingdon, but has Russian origins. 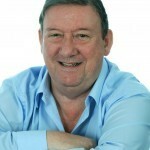 He will be up against Mike Badcock, former two time Mayor of Abingdon, representing the Conservative Party. 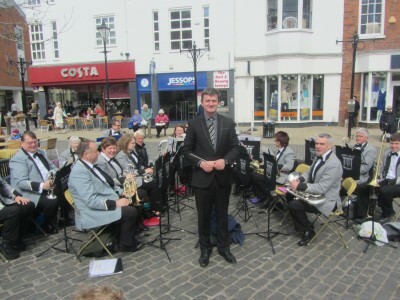 Mike was instrumental in renaming Abingdon to Abingdon-on-Thames and instigating the bun throwing contest. 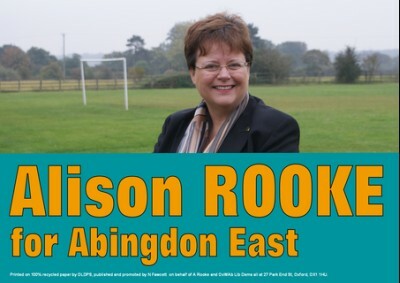 Alison Rooke, another former Mayor, is the Lib-Dem Party candidate. She helped lead a campaign while Mayor to save Abingdon Community hospital from closure, and after experience of looking after her dad suffering from dementia will do all she can to improve care services. 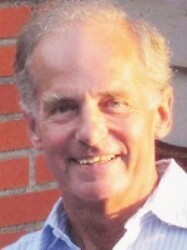 The Abingdon Labour Party candidate is Mike Gould. 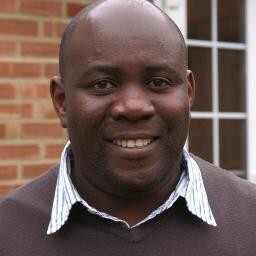 Chewe Munkonge ‏has been campaigning in Abingdon South for the Labour Party. A few weeks ago one person told me he was the first person they’d seen on the doorstep. Also saw him at a flood meeting. David Weaver is the UKIP candidate. He send me his profile. 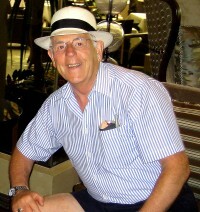 Here is an extract … “I was a Parish Councillor for 13yrs with Cholsey Parish Council, Deputy Chair for 2yrs and Chair for 3yrs. I was one of the 70,000 volunteers chosen for the 2012 London Olympic Games. 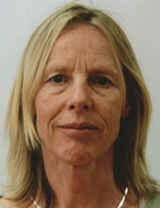 Chris Caddy is standing for the Greens. Chris has a rich portfolio. 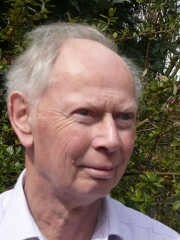 He was a senior manager at the Vale of White Horse District Council and since retiring has achieved much with various voluntary organisations. Tom Fleming is standing for UKIP but I have found no information about him on the internet. 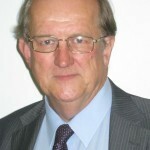 George Ryall is the Labour candidate. The Oxford Mail did much better and got submissions from most candidates which were printed last week. I’ll update this if people point me at the info and send comments. 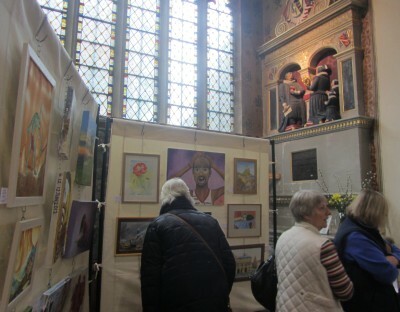 It was also last day of the exhibition by Abingdon Artists at St Nicolas Church, and they had lots of visitors during the week. If you had a wish which shop would you bring back to the precinct? Having been reminded of buying our first cooker, around 1986, at the Gas Showroom, here is a fuller list of shops in Bury Street Precinct from about that time. Four are unchanged, and remarkably they are all now neighbours, and are pictured below as they look today. 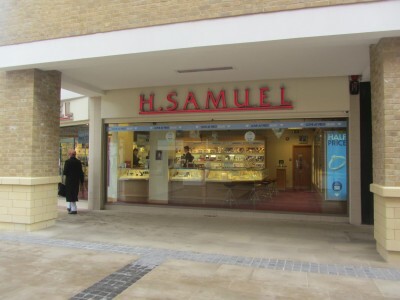 If you were granted a wish to bring back one shop from the list (or from any other time), which would it be? 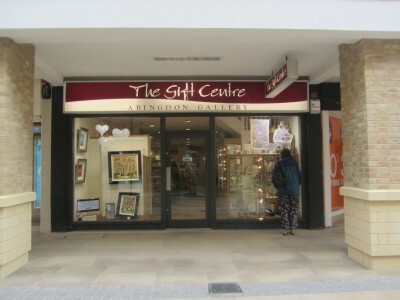 The community shop is back after a year off – due to the redevelopment of the Abbey Shopping Centre. 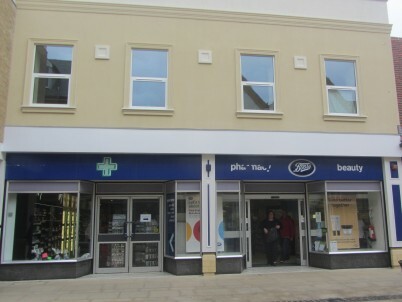 Community groups will soon be able to promote themselves in the community shop with exhibitions, and / or activities, and anything that makes the town vibrant. 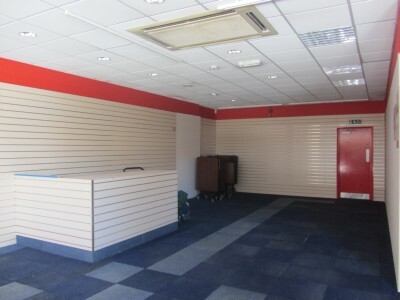 May and September are already fairly booked up but if your community group would like to use the shop email Hester ( hester@hand-abingdon.net ). 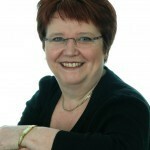 Both Hester and Heather (pictured above) have worked on this venture. 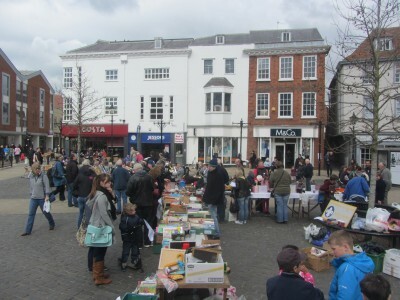 Together they represent The Friends of Abingdon and the Choose Abingdon Partnership. 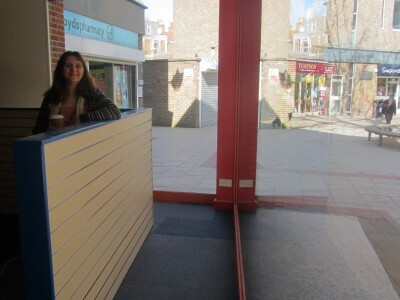 The shop was until recently a toy shop and, Hester reminds me, it was once the old Gas Board Showroom. It must have been where we bought our first oven in 1986 – a Flavia Festival with oven, 4 gas rings, and grill above.